At a gathering over the Easter weekend, staff from Lighthouse, Poole partied in style for the 40th birthday celebrations. 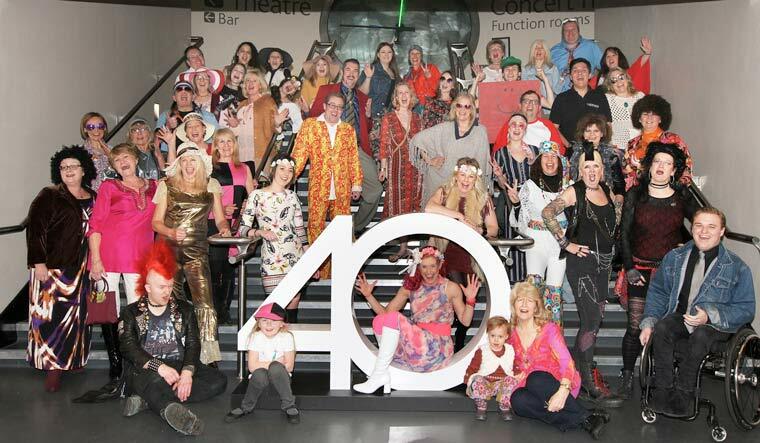 Staff at Lighthouse, Poole’s Centre for the Arts turned back the clock to 1978 at the Easter weekend to celebrate the iconic arts venue’s 40th birthday. A packed programme of celebratory events is already underway for the year, including classic 1970s movies at 1978 prices, prize promotions, and an exhibition of paintings by Mike Jeffries which will raise funds for Lighthouse and Diverse Abilities. In July, French circus company Circa Tsuica will be bringing their spectacular show Now or Never to Hamworthy Park as part of the Lighthouse 40 celebrations.